Comment: This is a two family home and basement which is used for storage. My tenant on the first floor noticed a mouse the week of the freezing weather in January and we tried several things but no results. Comment: Our previous exterminator just retired. He used to bait our traps twice a year. Now that he has retired we are concerned that the mice will return. Our house is a small unheated cabin that we close during the winter. B & B Pest Control, Inc.
Gloucester Pest Control Services are rated 4.62 out of 5 based on 629 reviews of 10 pros. 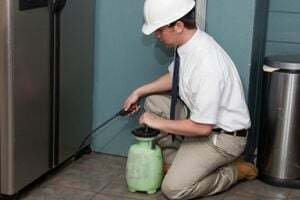 Not Looking for Pest Control Contractors in Gloucester, MA?